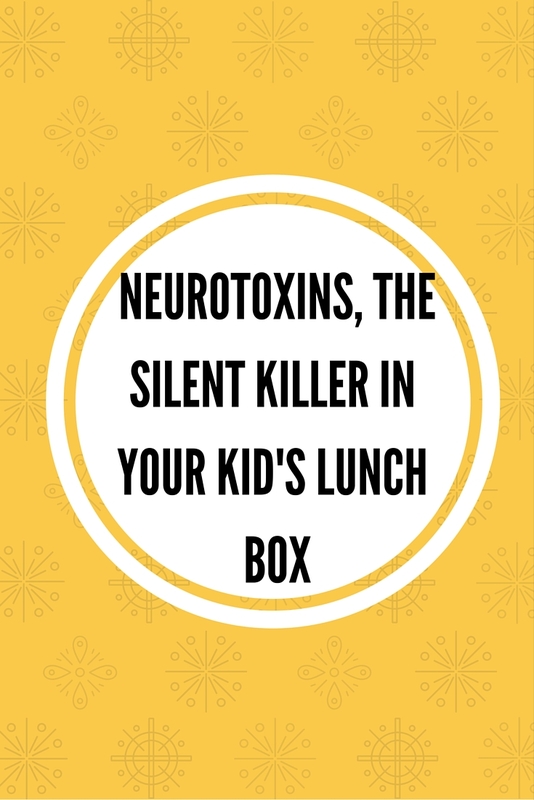 Neurotoxins- The Silent Killer in the School Lunch Box! Life has become incredibly busy after the arrival of my second child. I can't believe I've been writing this post for more than a month and here I am, with another rant on the way the food habits are being forced upon us, and most importantly, our kids. When I practice certain habits which are considered far too much or outdated by people around me, I usually don't bother much. One of the harshest comments I've received so far was when a good friend called me a miser for not spending on the chocolate and chips as she would allocate a certain amount from her monthly budget for the same. Many times I used to feel it is almost impossible to break such beliefs so I would just remain silent and carry on with my life. However, it was only after my son joined school I realized that what seems to acceptable to many would have an impact on us as well, even if we don't practice them.The food industry is not just manipulating the health of one or two kids from the family and friends whom I have seen, but this, entire, generation who are raised with such unhealthy habits. 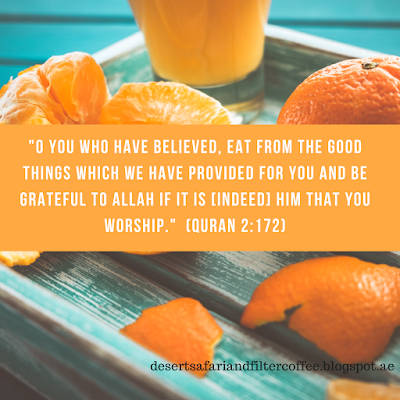 When my son started to learn his ABCs and numbers, I also taught him about good food and bad food. He was quick in grasping that and I was one of those elated parents to see their children being smart in choosing what is best for them. Little did I know that he will be too quick to unlearn that as soon as he joined school. He started getting the feeling of deprivation and he would point out to things like Barnies, Oreos, Sunbites, readymade custards and puddings, nuggets and the like at the supermarket. Somehow I fell into the trap of feeling guilty for depriving my son and I the frequency of me allowing such junk increased. My son would always ask for something called "Sunbites", a humble looking bread bites with a beautiful picture of a lush green farm on the package. I have to admit that I have given in to his demands quite a few times, and I somehow willfully didn't read the ingredients list until one day when I looked behind and saw it was a product of PEPSICO. The very name sent alarms to my brain for the reason that it is one of the companies that is spending millions of dollars to stop the GMO labeling law. I immediately started scrutinizing the ingredients list, and to my dismay, I found that the bread bites was a nasty blend of dangerous chemicals and preservatives! Those ingredients are not just some random chemicals, but neurotoxins that react with the brain cells and have serious health implications! These additives are manufactured with heavy chemical processing and disodium inosinate or E631 is often derived from meat sources. MSG or Monosodium Glutamate is not directly mentioned in the list, however, it is hidden in the name of E621, which many of us might just ignore thinking it could be just another harmless food additive. 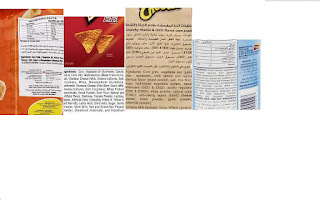 MSG or E621, along with the whole list of other additives like E627, E631, hydrolyzed soy protein and maltodextrin are all excitotoxins or neurotoxins. 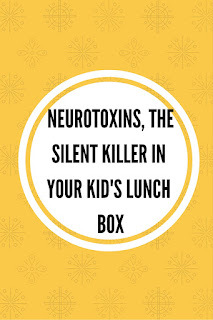 By definition, excitotoxins are a class of chemicals that overstimulate neuron receptors. Neuron receptors allow brain cells to communicate with each other, but when they are exposed to excitotoxins, they fire impulses at such a rapid rate that they become exhausted. To put it simply, it is this "salt" which sends signals to the brain that it makes us want to eat the food again and again, making our tastebuds artificially like the taste. 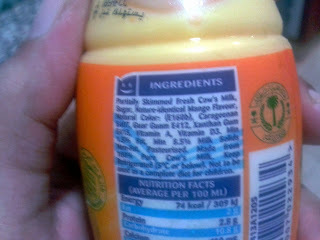 The above list of ingredients is not just found in Sunbites. You will find them in a lot of food products that you pick up from the supermarket and my concern is that they are given to small children without being aware of the dangerous health consequences. Here is the snapshot of "food" like things that are commonly given to children which has very dangerous levels of chemicals and additives in them. Do the bit of research and at least try to avoid food that has this neurotoxins and carcinogens in it. Remember the names of these ingredients and avoid them like plague! b) High Fructose Corn Syrup: A very common cheap, man made sweetener found in a wide range of food like items starting from carbonated drinks to ketchup and cookies. Anything man made and industrially processed is dangerous, and HFCS is no exception to it. Regular consumption of HFCS results in metabolic syndrome, diabetes, obesity and even worse, it has dangerous levels of mercury poisons in it. To read more, go here and here. 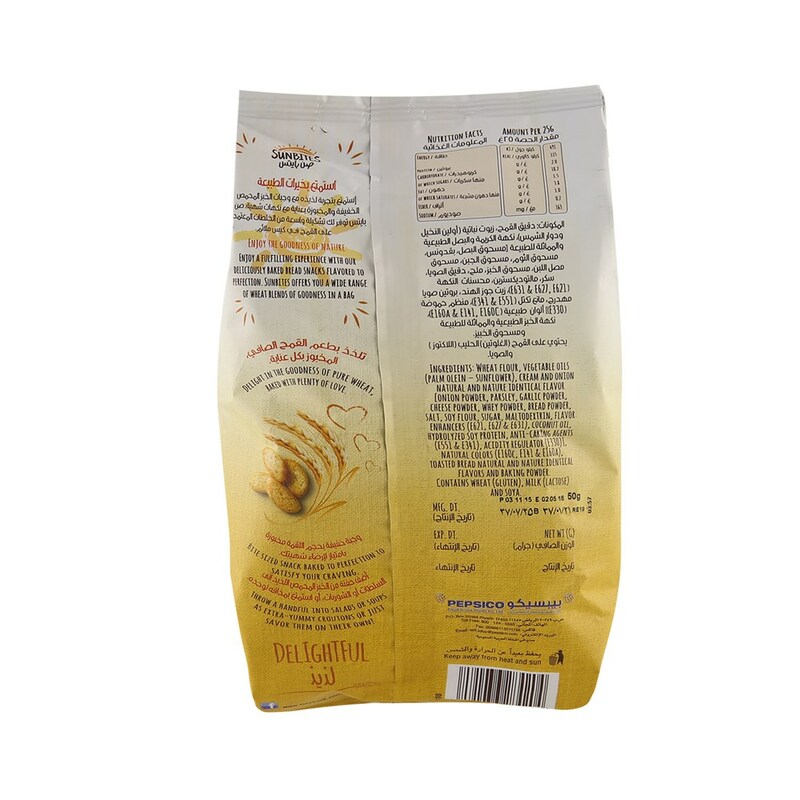 c) Hydrogenated Vegetable Oil/ Partially Hydrogenated Vegetable Oil (Trans Fat): Most of the industrially processed food like products use palm oil, for which the rain forests of South East Asian countries like Malaysia and Indonesia are cleared and palm trees are planted. The simple ingredient which we always overlook not only leaves a bad impact on our health, but also on our planet. That being said, hydrogenation of vegetable oils is a process that makes it reduce the rancidity of foodstuff when added to it which increases shelf life and also gives an artificial taste. This is a "possible" carcinogen and are outright toxic! Read more here. I've just tried to put together a list of common snack items that are put in the snack boxes of our school kids. 2. Chips- Not just MSG! 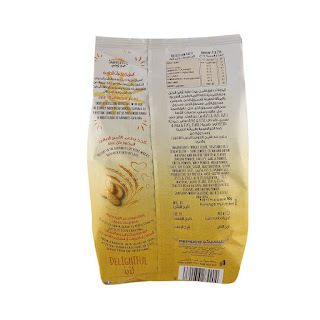 These little packs of crisps that are regularly given to children are a cocktail of chemicals and dangerous additives. Even worse, one of the brands have GMO ingredient in them! I don't have to say anything much about Oreos. 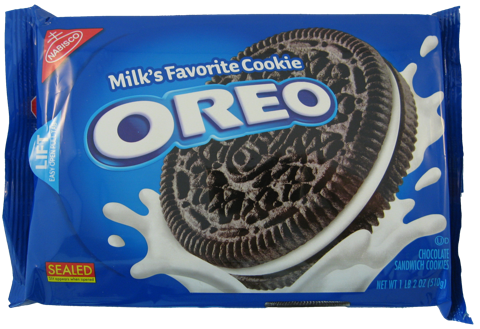 A recent study conducted on the effect of consuming oreo cookies in rats revealed that they are as addictive as Cocaine! You can read more from here. 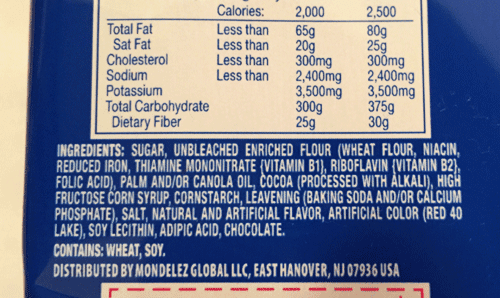 Among the many chemicals and additives, one of the most disturbing ingredients is the High Fructose Corn Syrup. The kind of store bought snacks that are brought by the kids to the school are not just confined to the above. There are many, many more and I am stopping here due to lack of time. My humble request to all of you who read this is, please, please be careful about what you feed your children. Start reading the labels, and avoid all that with names of chemicals or random numbers you don't understand. Please feel free to add your suggestions on packing healthy snacks for kids. I am so in love with this facebook page Kids Just Wanna Have Fun. The author shares beautiful pictures and suggestions on healthy snacks for kids and it is truly an inspiration for someone like me who hates spending a lot of time at the kitchen! An eye opener. Truly we thank you for such important information you have given us. Scary reading that hi toxin is sold by multinational companies. Very enlightening article, indeed for young mothers! We really need to use discretion while choosing a ready made snack for our kids! Very well written Faiza. MSG and HFCS are killers which are wreaking havoc.The worst part is that the products laced with them are sold as healthy options. I try to minimise consumption of these and increase intake of fruits, vegetables and nuts. But it's really tough when these easy options are luring the kids every single day. Thank you dear Simanta for stopping by. Yes, you are absolutely right about MSG and HFCS being found even in so called healthy "food", especially in the masala oats kind of products. It's a mind opening read. I'm also guilty of giving "Sunbites" to my kids when we were there. I learned a lot and now very cautious but still we slip up from time to time with all these options in the market. Alhamdulillah, the situation is not that bad here as you have many healthy options to choose from even in the supermarkets. It's a relief. 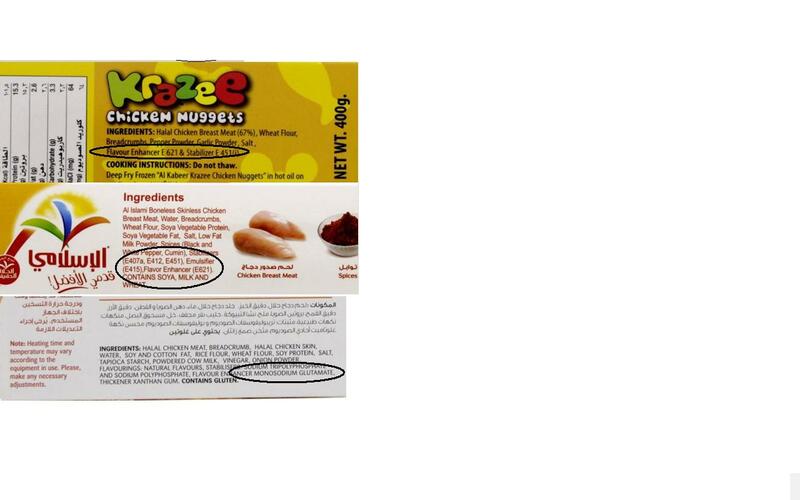 But unless some central body comes up with regulating such products in the UAE, it falls solely on us parents. Well written Faiza,keep more of it coming ! Thanks a lot for your comments and encouraging words. It is very true that keeping our children out of all the junk in this part of the world is very difficult task. I remember seeing a "teens react" or "kids react" kind of a video where a group kids from Ireland being given the American junk food to taste. Their reactions were just priceless, and it kind of showed that they must be having much better way of life and eating. Thank you. Sure, I will write about the milk drinks as well. 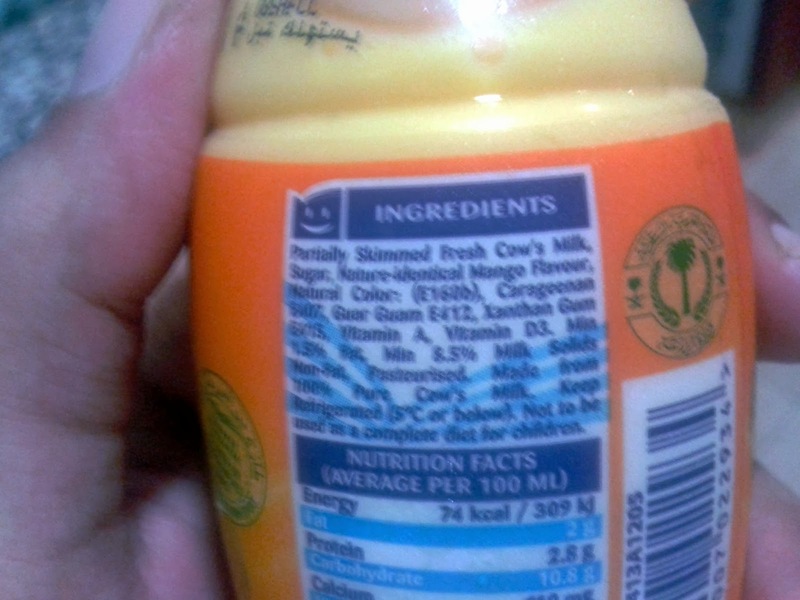 Btw, by milk drinks you mean products like Bournvita and Boost right? Assalamu alaikum. Very informative article. I am proud to be an outdated mama.Me too never go for the so called ready to eat food for my kids .came across your blog in a friends share.Nice space. Wa alaikumussalam wrb. Thank you so much sister. Really happy to meet another outdated mama! :) Barakallahu feekum.. Thank you so much for this enlightening write up, Faiza! Sharing.. And thanks for the reference to the FB page. We are just like you when it comes to parenting our 2 yr old and our "well wishers" have called us all sorts of names for not giving our naive and gullible child his daily dose of chocolates and wafers. To say that we are the outcasts would be putting it mildly! It doesn't matter to us, as your article just validates our choices and gives us more ammunition to hit back to the naysayers! Salam Alaikum,,,, it is really important information we should keep on eye in what our kids eating. All these chemical effect their health and we can recognize that cancer diseases are increased in recently. My regards to the writer and all the readers and I asked allah to protect all of us. Thank you for your comments. you are most welcome..
Really glad to know that Sree Lakshmi.. Thanks for your comments. I agree with everything except with mono sodium glutamate. That is known as ajinomoto, and it is used to cook daily in my country (Peru), by generations. it is used in Chinese cooking, too. So, I can say that it is not harmful. I do not know about the other compounds. Hope such a system exists, Ramesh Babu. Eye-opener! Thanks for the well-written piece. Thank you, talking bear. :) True even I did the same until I realized that I can't turn a blind eye to this for a long time. Great Post Faiza! Well-researched! We need to spread awareness about these things, even not using plastic bottles and tiffin boxes, as they can contaminate food and drinks with toxins!